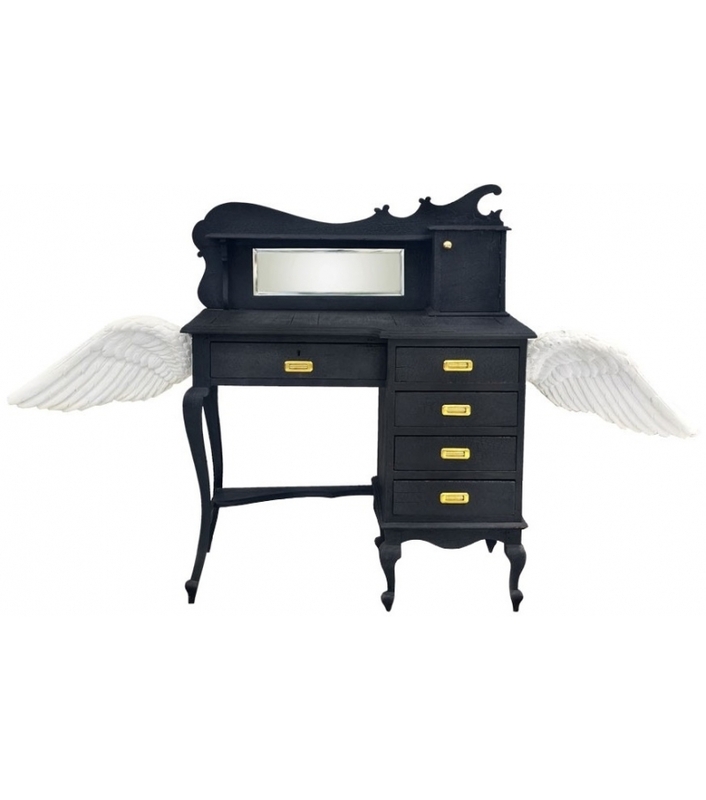 Secretaire is a study table created by the indian brand Scarlet Splendour. 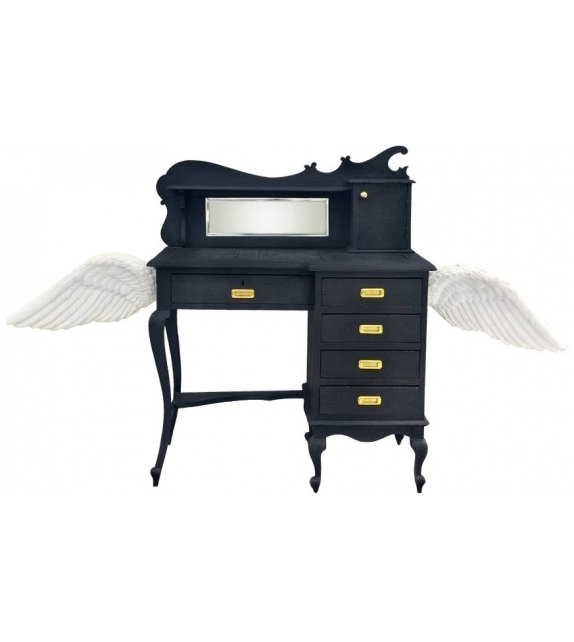 The Dark Angel collection comprises signature pieces of furniture styled in classic colonial lines and trimmed in gold. 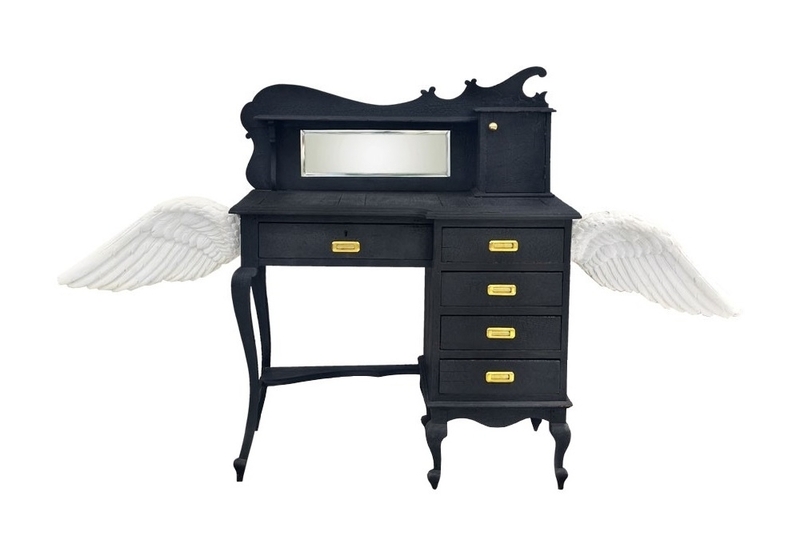 Whimsical wings lend a note of chic to the essential functionality, transforming each piece into an installation. Sensuously textured in the colour of the night, and as angels do, they linger for an eternity with their owners.